The White House has reportedly drafted an executive order that would target visas used by Apple and other tech companies. According to Bloomberg, the Trump administration wants to change the rules for temporary worker visas known as H-1B, L-1, E-2 and B1. Those rules changes would affect the ways several American companies recruit skilled workers overseas. They follow in the wake of tech company condemnation of a travel ban on seven Muslim-majority countries. That ban was imposed by executive order over the weekend. If you’re a news junkie, you’ve likely heard of H-1B visas. These are the most common visas used by Apple, Google, Microsoft, and other tech companies to bring skilled workers (for example, engineers) into the U.S.
H-1B and the other visas are also used by India-based tech companies Infosys Ltd. and Wipro Ltd. Businesses. Both companies offer IT services to outsourcing U.S. corporations—they heavily use the visa programs to bring in workers, especially from India. 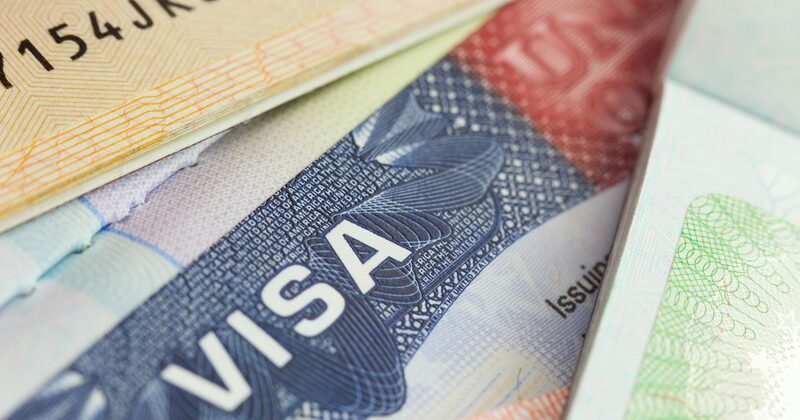 These visa programs were created at the behest of large U.S. companies wanting to bring in skilled workers for positions they couldn’t fill in the U.S. H-1B visas are limited to 85,000 per year, however, and companies like Microsoft and others have lobbied heavily in the past for expansions to the program. Many have complained, however, that the visas are used to depress wages by bringing in cheaper foreign workers. This complaint is especially aimed at the above-mentioned Indian companies, which have garnered the lion’s share of H-1B visas in recent years. Bloomberg noted the top five firms to get these visas have been outsourcing firms like the above-mentioned Indian companies. Bloomberg noted the average salary paid to guest workers at those companies is US$70,000. The average wage for visa-holders brought in by Apple, Google, and Microsoft is $100,000. It’s a significant difference, but those wages are still lower than other employees at all three companies. Glassdoor shows the average wage of an Apple software engineer is more than $122,000 per year. Google’s average is more than $126,000, while coding gigs at Microsoft range from $98,000 to $139,000. The bottom line is that there have been vociferous arguments both for and against the visa programs since they began. President Trump’s hotel businesses have used guest workers for decades. During the 2016 campaign for president, we learned that Mr. Trump’s Mar-a-Lago Club and Jupiter Golf Club hired more than 200 guest workers using the H-2B visa program. It’s not clear if that particular visa program would be affected by the draft executive order. Then-candidate Trump said he was unable to hire U.S. workers for the positions filled by guest workers. CNN reported that Department of Labor documents showed the Trump Organization failed to comply with regulations on some applications. Bloomberg’s reporting was on a draft of the executive order—the types of drafts that have leaked from White Houses in every administration. The important thing, though, is that it’s a draft. It might not be issued, or could be modified in any number of ways even if it is issued. As written, it will change things for Apple and the other tech firms that utilize these particular guest worker visas. In particular, it would require companies to prioritize hiring the most highly paid candidates for a job. That change could make it more difficult for companies trying to use the visa programs to reduce wages. Then again, it remains to be seen how such prioritization would be enforced. Also included in the draft are requirements for the government (presumably the Department of Labor) to publish reports on which companies are using the programs and how they are using them. Protectionist policies often have unforeseen repercussions. One possible ripple effect of this executive order could be that tech firms simply open more operations overseas. Put another way, it could hasten the development of jobs, infrastructure, services, and other forms of growth overseas, rather than in the U.S. The White House didn’t comment, nor did any of the companies most likely to be effected by the executive order. In addition, there is already legislation in the works that could change the guest worker visa programs. There is often such legislation cooking, however, so that doesn’t necessarily mean a whole lot. Tech companies seem to love H-1B visas because they have been highly successful at paying lower wages to H-1B workers, probably because H-1B workers have a harder time changing jobs, due to a lengthy labor certification process. Green cards would seem to be a better approach for leveling the playing field between imported and local workers, but I can’t seem Trump endorsing an increase in green cards either. I’ve never said this but, “I agree with geoduck”. The H-1B visa system has been abused for a long time. However, I think Rick Allen is right. The harder this administration tries to protect US jobs and companies through protectionist and isolationist moves, the more they will slip through their fingers. Unintended consequences will get you every time. These isolationist/protectionist moves will just move jobs and companies more overseas. The US is not an island unto itself on this world. Instead of bringing more US jobs this will I think lower jobs as people will be laid off or fired as parts of the multinational tech companies move their operations elsewhere. It certainly does seem that the “consulting” companies are roundly abusing the H-1B system. It is intended to allow American companies to hire from overseas people with specialized talents and skills. But what has been happening in the last few years is that foreign companies have set up US subsidiaries which then imported lots of people with good-but-standard skills, and have them work on contracts – displacing US workers. Preventing this abuse would be a good thing indeed. However eliminating H-1B would not be. Rather, the rules must be changed so that the use is in line with the purpose.